The two most common forms of print production are Digital and Offset. Digital printing is a newer technology which specialises in lower quantities and faster turnaround times. Shorter runs of quantities less than 1000 are commonly printed digitally. The process involves sending the artwork file straight from the computer to the digital press, from there it is immediately printed onto the paper. Offset Printing is a more traditional process. This process uses ink and plates to transfer an image onto paper. It produces high-quality, cost-effective results for long print runs. Offset printing uses 4 colour processes also know as CMYK. This system allows for perfect colour matching and consistent prints. Overall both processes have their specific advantages. The specifications of a job will determine how it is best printed, taking into account quantity, size, colour preferencing, finishing, turnaround time and budget. The main advantages of Digital printing, are faster turnaround times and cost effectiveness for smaller quantities. 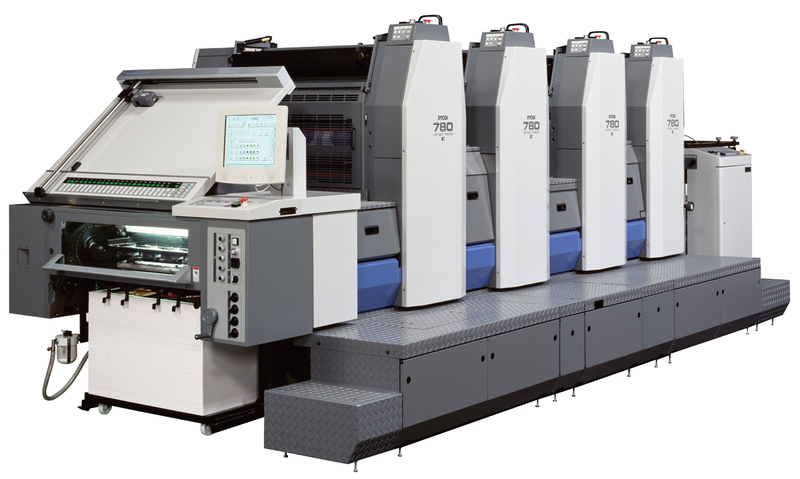 The advantages of Offset printing are cost effectiveness for larger quantity runs and exact colour matching. Speak to us today about your next print job to see the right process for you.